'Migrant worker' hip-hop in Saudi Arabia Jump to media player The video that challenges the way South Asian migrants are seen in the Gulf. Christian mercy for Islamic State Jump to media player A Christian message of peace goes viral in Egypt. How teenage hugs angered Islamic authorities in Malaysia Jump to media player Video of K-Pop band hugging young Muslim fans attracts criticism online and investigation by Malaysian authorities. Why it's tough being a groupie in Kuwait Jump to media player Female fans in Kuwait are criticised for supposedly "rowdy" behaviour at a concert. FreeSpeechStories: 'A message for the Taliban' Jump to media player Two young Pakistani filmmakers are using Facebook to confront the extremist group. Beaten for blogging: #Free Speech Stories Jump to media player A second round of flogging for liberal Saudi blogger Raif Badawi is postponed by authorities in Jeddah. What not to say in an obituary Jump to media player Sarcastic obituaries online as newspaper describes famous Australian writer Colleen McCullough as "plain" and "overweight". Lip-synching goes viral: the rise of Dubsmash Jump to media player A lip-synching app has become an internet smash hit, but could copyright claims bring trouble? 3. Criticising the way Saudi society treats them using stylish hip-hop to round off the day. 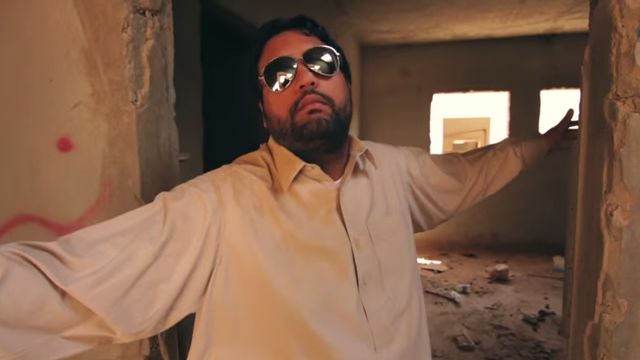 A video by what appears to be a Pakistani migrant rap group has gone viral by challenging the stereotypes of the millions of South Asians who come to Saudi Arabia for work. Except - as BBC Trending reports - they are actually Saudi comedians dressed as migrants, making a point. For more videos subscribe to BBC Trending's YouTube channel.